Organisers of the cross-community event hope as many families as possible take part, beginning their St Patrick’s Day celebrations in a healthy and worthy way, before joining the civic celebrations in the city centre afterwards. Every registered runner in the SPAR Craic 10K will also be helping the Marie Curie with a donation from every registration going to the charity. All entrants will receive a ‘goodie’ bag and all finishers will receive a bespoke 2019 medal. 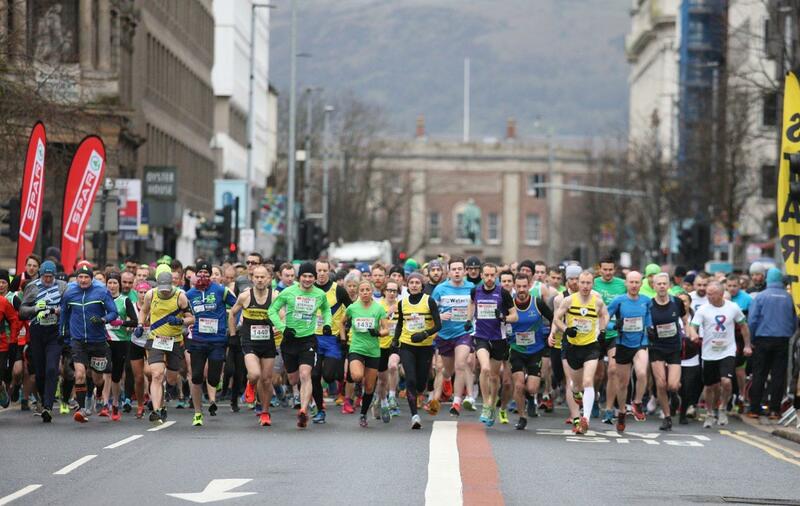 The March 17 date comes at a perfect time in the training schedule for those preparing for the 2019 Belfast City Marathon in May while it will provide a challenging step up in distance for Park runners. The idea for a St Patrick’s Day run comes from other cities across the world who incorporate such an event into their annual celebrations. The SPAR Craic 10K will allow the people of Belfast to celebrate St Patrick's in a fun, healthy way before they enjoy the parade and party in Custom House Square. There is no better way to unite and build Belfast than by taking it to the streets. £15 until January 6th 2019. *Online registration will close on March 10th at midnight after that late registrations can be made by calling 028 90 611916. Any runners aged 16 or under who wish to run must be accompanied by adult and a consent form should be sent to organisers by parents or guardian. The event is being supported by SPAR NI and Athletics NI. Media partners are U105 and the Belfast Media Group.